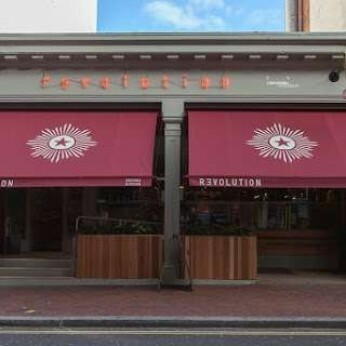 Revolution Reading is a modern, vibrant venue set in the heart of Reading city centre. By day, enjoy a relaxed and comfortable atmosphere where you can dine with friends, come for business lunches, enjoy coffee and cakes, or soak up the sun in the unique Secret Garden. By night, Revolution transforms into a party paradise, where no two nights are the same. With resident DJs, club nights and themed parties, it’s the perfect place to host your next corporate event or birthday party. Or why not join us for your very own cocktail making class? At Revolution Reading, every night of the week is a party! IT'S HERE! To celebrate the arrival of summer, we've remixed a rather tasty line-up of gin cocktail specials. Gin-lovers, THIS is what dreams are made of... They're BRAND NEW, delightfully delicious and IN BAR NOW! 3am license available all week for functions and exclusive hire.